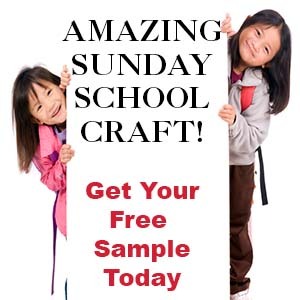 The following crafts go along with the Sunday School Lesson "Shine" on The Resource Room. 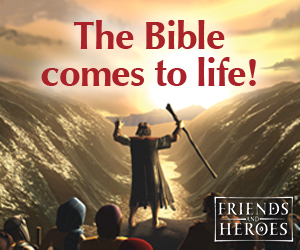 In this lesson children learn that Jesus is the light of the world. He lights up our lives so we can shine. Children string piece of cut up straws onto cord to make a necklace. 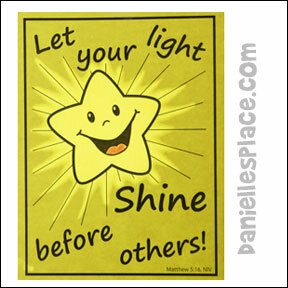 They add a star shape cut from yellow card stock or have color white star and then add glitter glue to make it shine. 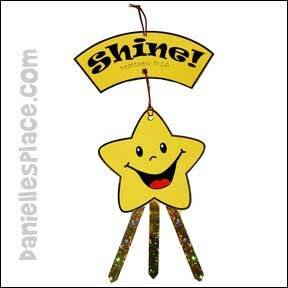 Children will love making these star ornaments to shine on their Christmas tree. They tie a star shape to the Shine! sign and then a glitter ribbon to the bottom of the star. You can also have them paint the star with glitter glue to make it shine. Print out the pattern on to yellow paper. In class have your children color the tongue red. Then have them place a paper towel beneath their pictures and paint vegetable oil on the star and rays. When they are done place another paper towel on top of the picture to absorb any excess oil. The oil will make the star translucent. When you tape it on a window it will glow. Have your children color the stars and draw a picture of themselves in the blank square, or glue pictures of your children in the blank squares. If you are having your children draw a picture, encourage them to draw a picture of themselves doing something nice like Jesus would do. 1. Before class cut star shapes from construction paper. 2. Set up your room like you would to play Musical Chairs except use enough chairs for all the children. 3. Place the stars on the chairs and have your children walk around the chairs as the music plays. When the music stops the children should all find a chair to sit in. Say the first word of the verse and have your children check to see if they are sitting on that word. The child who was sitting on the star with the first word gets to clip that start to the string. 4. Keep playing like this until all the words are gone and the verse is complete. You can also have the child that clips the star to the string say the verse before you start the next round. 1. Before class cut star shapes from construction paper. Write one word of the Bible verse on each star. Make several sets. 2. In class divide your children up into teams. Place sets of stars at the front of the room. Give each child a clothes pin. 3. To play the child at the front of the line runs up to the front of the class and clips a star to the string in the correct order to spell out the verse, and then runs back to his team. The next child in line runs up and places another star on the string. The team that gets all their stars in order first wins. If you have younger children who cannot read place the stars in order on the ground so all they have to do is pick up a star and clip it to the string. Or you can make matching stars so that all they have to do is find the matching star and clip it to it.